Historical Biographies, Nova Scotia: John Parr (1725-1791): Governor of Nova Scotia, 1782-91. While at this medieval fortress, the Tower of London, Parr was to receive an appointment. We see, so far in his career, that Parr had at least one opportunity to go to America which he declined. To receive the offer of being a Royal Governor, however, even if it meant going to America, was something that John Parr could not resist. Parr was to succeed Francis Legge, who, while continuing to carry the title as the Governor of Nova Scotia, had spent his last six years away from his post in England. If Parr thought that his appointment was to be any easy one, "a finer, more lucrative and prestigious one,"5 he was soon to find out differently. He was to take up his position at Nova Scotia at a time just as the America Revolution was a coming to an end with the result that Nova Scotia, beginning that very winter, 1782/83, was to be flooded with Americans who had supported the crown during the fighting and were now fleeing the expected persecution. The settlement of the Loyalists in Nova Scotia and the subsequent territorial divisions creating New Brunswick and Cape Breton, are subjects taken up in the context of my larger history. John Parr arrived at Halifax "with Lady Parr and family"6 on October 5th, 1782. It is to be remembered that since Legge had gone back to England in 1776, the province was under the control of a lieutenant governor. When John Parr stepped off the ship at Halifax he was to be greeted by Sir Andrew Snape Hammond who had been appointed to his position as lieutenant governor but just the year before. Hammond was of the view that he should have been named governor and was to openly express "his chagrin and anger"7; he resigned almost immediately and retired to England. (Hammond's job was filled on February 24th, 1783, by Edmund Fanning.) Parr would soon taste the same kind of disappointment in 1786, for, it was in that year that Guy Carleton (Lord Dorchester) was to be appointed as the governor general of British North America, a process which led to Governor Parr to be reappointed as Lieutenant Governor. (What happened to Fanning at that point, is more than I know.) It was at this time, too, that London decided to create a bishopric at Nova Scotia. The appointment of Bishop Charles Inglis, was, to Parr, but another erosion to his gubernatorial powers. Other events were to unfold in Nova Scotia during Parr's time as governor, including: the settlement of the "black loyalists" (Parr was charged with "discriminary practices and long delays"); the attempted establishment of a whaling industry at Dartmouth (the state side whalers saw it but as a method to shut them out of the English market in whale oil); then there was the "judges' affair" (certain members of the bar openly criticized certain of the judges of incompetence and partiality). These are matters which we cannot go into at this place, I but mention them to show that John Parr was to have a stormy time of it during his nine years as governor. The most difficult problem for Parr, however, was the line he was obliged to walk between the complaining Loyalists on one side who wanted things and the governmental authorities on the other who were unwilling, for the sake of economy, to give the supplies and money needed to settle these destitute people. "Parr's governorship coincided with a period of profound upheaval and dislocation which would have taxed the talents and energies of any administrator: a lesser man would have been dilatory and incompetent; an abler man might have shown more dexterity and resourcefulness. Being dour, brusque, and inured to deprivation in army life, he did not display the degree of solicitous sympathy the loyalists felt they deserved, although much of their criticism of Parr reflected despondency, frustration, and anger at straitened circumstances. A short man with sharp features and a brisk, strutting gait9, he was a stickler for formalities and had the tetchy stubbornness of an independent but narrow mind long accustomed to military discipline. He also lacked the accommodating manners and social graces which might have made him a more popular governor of the colony to which he found himself somewhat uncongenially exiled." 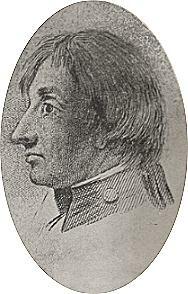 Governor Parr was to die at Halifax on November 25th, 1791, in the 66th year of his age. Macdonald, "Memoir of Governor John Parr," NSHS, #14 (1909). It is interesting to note that Edward Cornwallis, Charles Lawrence, Robert Monckton and Jeffrey Amherst, all of whom were to play such pivotal roles in the history of Nova Scotia, were also at Fontenoy. We see in Macdonld's "Memoir," op. cit., at p. 43, where Parr was part of that of the troop reinforcement that was being sent to Minorca during January of 1756. Macdonld's "Memoir," op. cit., at p. 45. Parr had married Sara Walmesley in 1761; the pair was to have three sons and two daughters. See MacKinnon, "A Dearth of Miracles ...," op. cit. at p. 34. At the conclusion of his article, p. 44, MacKinnon, writes that Parr "found himself abruptly responsible for a massive, sometimes chaotic, relocation of people and, with too few competent men to assist him, with a begrudging Britain distributing its dole reluctantly, with an angry, hostile body of refugees to settle, met that responsibility." See "A Dearth of Miracles ...," op. cit. at p. 43, where MacKinnon quotes Thomas Barclay's observation, viz. that Parr was "a man of real benevolent Heart"; and where, then, MacKinnon sets out a number examples of Parr's benevolence towards the Loyalists. "Memoir," op. cit., at p. 76. James S. Macdonald was the President of the Nova Scotia Historical Society in the year, 1910, when he wrote his "Memoir" on John Parr. Macdonald observed on how Parr's widow and two daughters left almost immediately after his decease for London.